An exciting career begins here! 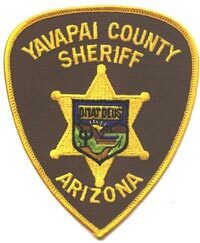 The majority of Yavapai County Sheriff’s Office staffing is in the positions of Deputy Sheriff and Detention Officer. Other positions that open from time to time will be posted on the Yavapai County Employment Opportunities page. These include dispatch and records section support staff. Being a Deputy Sheriff or a Detention Officer is answering a call that is greater than one’s self. It is a commitment to protect and serve. Leadership, honor, respect, teamwork, and accountability are at the core of our daily mission. Being a member of the Yavapai County Sheriff’s Office is a title we’ve earned. The men and women of the Yavapai County Sheriff’s Office do more than make a living; we make a difference! *Please check the latest Yavapai County job postings on the Yavapai County Employment Opportunities page. *Please check the latest Yavapai County job postings for Support Staff positions on the Yavapai County Employment Opportunities page.